My sister has serious food allergies. Ones that a lot of people have to endure, such as peanuts and tree nuts, but also some really difficult ones like soy. Yes, soy. 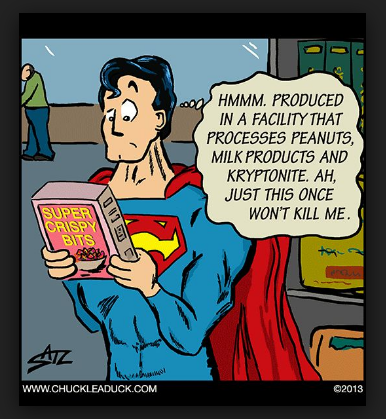 If you look at the ingredient list of most pre-packaged foods, you’ll find they contain soy. It’s apparently a great emulsifier, so it’s commonly used in processed foods as a stabilizer. That means when she comes over for dinner, specifically Christmas dinner, you have to really think about what you serve, and I want everything on the table to be something she can eat. That means reading the ingredient list on anything I buy in a package. Don’t believe me, look at the ingredient list on your bread. Soy. Check your ice cream. Unless you bought Breyers vanilla, good chance there’s soy in it. Chocolate chips? You guessed it, soy! So, when we hosted Christmas dinner for the first time many years ago, I really struggled. And, frankly, dinner was bland and not very tasty. I feel like this year I did a lot better. The food was tasty, and everything I made or bought was safe for her to eat. 1.Less Is More – Food with fewer ingredients on the ingredient list tends to taste better as well as have few allergens. The bread I purchased had flour, salt and yeast. It tasted amazing! 2. Short Shelf Life Is Actually Good – Things with a short shelf life tend to taste better and be lower in potential allergens. You can combat the shorter shelf life with a refrigerator or freezer. I live in the frozen tundra. Come December, my entire backyard is a freezer. Not kidding. We actually put things in coolers outside to keep them from freezing solid as the cooler will insulate against the cold. 3. Keep it Simple – Much easier to make allergy friendly food when what you’re making is simple. We prepared a huge fruit and veggie tray (that got demolished, by the way), and everything was allergy friendly. 4. You Have to Make Stuff – In your kitchen. Where you know there are no nuts or anything else lingering. Mashed potatoes weren’t hard. Gravy was a different story. And while my first attempt at making gravy wasn’t as good as the stuff out of the jar, it was just butter, flour, and turkey drippings with some chicken broth added. Give me a few more attempts, and it’ll be better than the jarred stuff. 5. Enjoy Life – I’m not getting paid to say this, and I think this company is amazing. When I went through the battle of eczema with my daughter, this place was the only reason I could still have chocolate. Not sure I’d have made it without chocolate . . . It’s the only places we know of that makes chocolate chips my sister can eat. 6. Experiment – My mother-in-law has an amazing cheesy potato recipe she shared with me. But, one of the ingredients was a can of cream-of-mushroom soup. There are no cream of mushroom soups available for purchase in my area that don’t contain an allergen I need to avoid. After researching some other cheesy potato recipes, I substituted softened cream cheese for the can of soup. Recipe tastes great! So good, in fact, when my mother-in-law tasted it, she wanted the recipe. Overall, I like to think the food was good. I’m not a gourmet chef, and I really don’t even like to cook. But I wanted to make Christmas a time we could kick back, relax, and enjoy family without anyone having to stress about what they’re eating. I think we accomplished that. How about you? Any food allergies you’ve ever had to deal with? How did you do it? 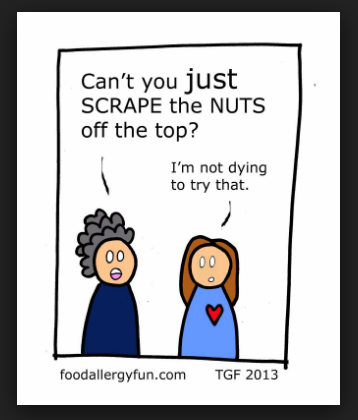 If not food allergies, any other sensitivities you’ve encountered? What did you do? I love your advice here, though, because it covers so much ground. Keeping the ingredients fresh and simple, in my experience, leads to healthier, tastier meals in general. It’s a good plan regardless of what issues you’re dealing with. Luckily, the only issue I have to worry about are my wife and sons lactose allergy. Pretty simple, all things considered.